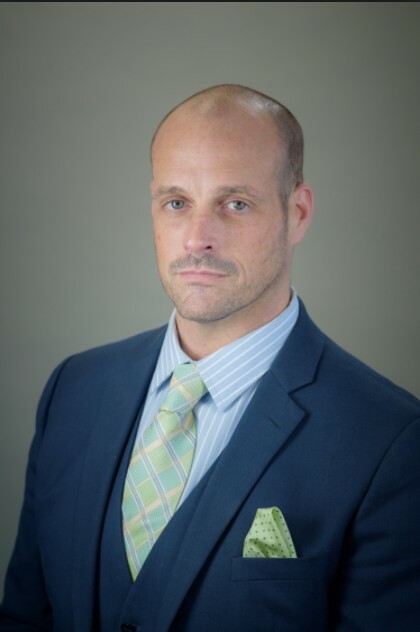 Home / News / District 56 Candidate McGinnis – No Chamber Monies? IS A CHAMBER RELATED PAC RUNNING T.V. ADS FOR McGINNIS? Former WPDE T.V. News Anchor, Tim McGinnis campaigned on October 10th at the Myrtle Beach Dunes Club to a packed local audience. The following link is from the Myrtle Beach Area Chamber of Commerce’s web page. It shows in the Myrtle Beach Area Chamber’s own words that there is a “direct organizational relationship” between the Chamber and the Grand Strand Business Alliance (GSBA). It shows the largest contributor to the PAC is Grand Strand Business Alliance. The SC Secretary of State website lists Steve Chapman (Myrtle Beach Property Manager -Hotel Owner and Brittain Resorts’ Family Cousin) as the registered agent for both Citizens for Conservative Values and Grand Strand Business Alliance. Evidence shows a clear and direct link between the Chamber, Grand Strand Business Alliance and Citizens for Conservative Values. 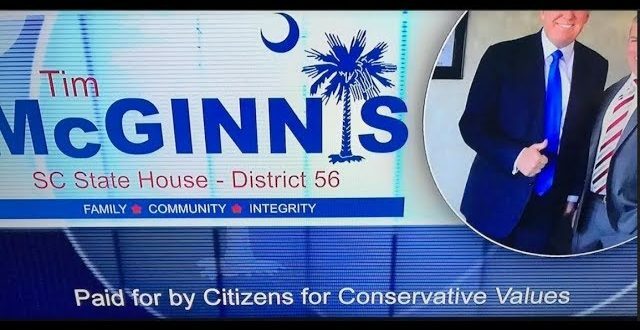 Citizens for Conservative Values paid for the TV and radio advertising currently blanketing households in District 56 supporting Tim McGinnis. McGinnis says accurately above that he has not received any money from the Chamber. His statement is literally true as the Myrtle Beach Area Chamber has not contributed directly to his campaign. However, the Grand Strand Business Alliance PAC gets donations from the Chamber and gives money to Citizens for Conservative Values, which fund the McGinnis radio and TV ads. If this relationship sounds convoluted, such was the intention of those Myrtle Beach Hotel owners and business leaders who set this system up. 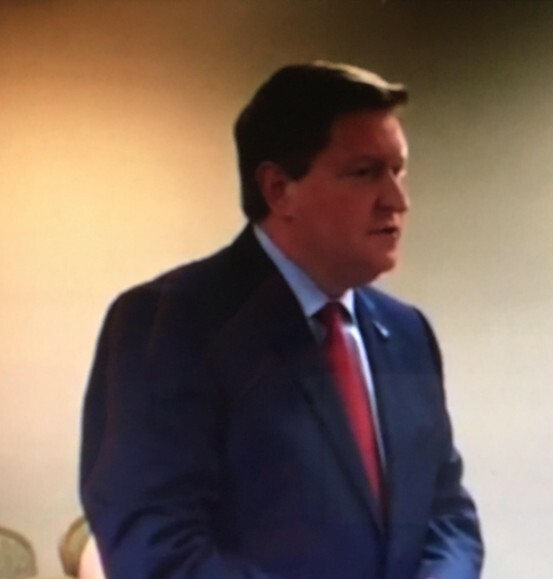 McGinnis recently said at a Myrtle Beach Tea Party candidate forum that he would support getting rid of third party PAC donations and big money corporate donations because they have too much influence on politics. How does he explain allowing a third party PAC to pay for the current TV and radio ads supporting him? Third party PACs, like Citizens for Conservative Values can legally have no direct contact with the candidate nor his campaign. MyrtleBeachSC.com believes there has been no direct contact between Mr. McGinnis and Citizens for Conservative Values. 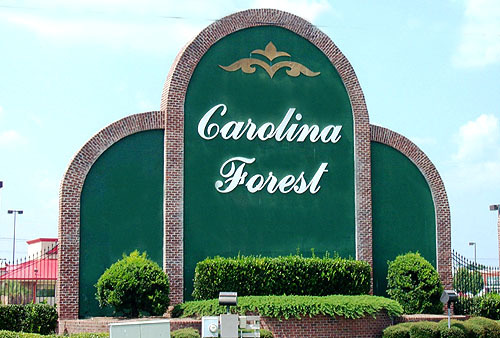 While Carolina Forest has not incorporated yet as a city, nor has it been annexed by Conway nor Myrtle Beach, it is proving to be a powerful political voice of influence in Horry County. These developments have been uncomfortable for the insider voices who have previously been caretakers of the community including: Property Manager – Matthew Brittain, Property Manager – Steve Chapman, Brad Dean, Mark Lazarus, Luke Rankin, and a handful of others who previously held the full weight of local influence. Long before the question was asked to Mr. McGinnis by Mrs. Mitchell, practically everyone in the room already knew the answer. Residents were simply offering Mr. McGinnis an opportunity to be fully transparent with his constituents. We spoke with several key District 56 residents who felt Candidate McGinnis missed his opportunity. District 56 Elections will be held October 24th. We encourage all District 56 residents to be informed and vote. Understanding how the Myrtle Beach Area Chamber influences local politics might be helpful. The tax dollars are not publicly audited, and as such, Mr. Dean’s political influence has become suspect in the city of Myrtle Beach, as well as, towns and communities surrounding Myrtle Beach. Residents have continually stated in social media, that Mr. Dean has too much influence on area politics and the local media. The current heavy-handed way that many political incumbents operate (who are supported by Mr. Dean and the Grand Strand Business Alliance) has not been missed. The elections of October 24th in District 56 and those held by the City of Myrtle Beach on November 7th, might just showcase a future divide between the big money of Mr. Dean and a few connected insiders versus the will of an emerging resident-driven voice in the communities of Carolina Forest and Market Common. Regardless of the outcomes of the October and November 2017 elections, the long term bet should be placed squarely on the growing voices of the increasingly, informed residents in those two communities.